Next Weekend is the Easter Long Weekend? 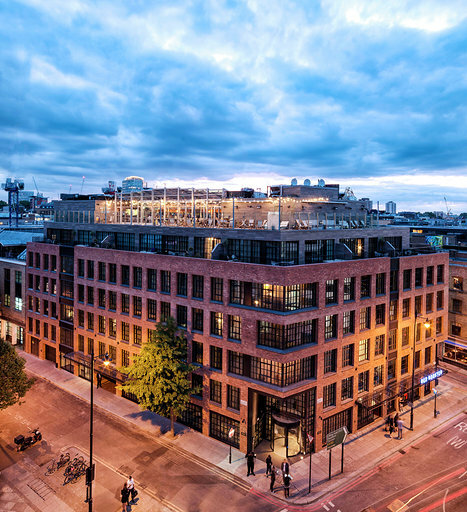 Wondering what to do for it if you’re staying in London? Well here’s some of the best events happening! London-based restaurant & cafe collection Chucs is bringing a specially-curated menu across all four of its British sites this Easter. Easter Brunch at Chucs Cafe Serpentine. On Saturday 20th April, Chucs Cafe Serpentine will be hosting a family Easter Brunch in collaboration with Sharky & George, the UK’s leading children’s party planners. Mums and dads can kick-back and enjoy foodie delights including eggs any which way, smashed avocado & a whole host of sweet treats, washed down with mimosas or prosecco (or freshly-pressed juice, if that’s more your thing). For the little grown-ups, there’ll be an Easter egg hunt in the gallery gardens between 9:15 & 10am, followed by classic games, arts & crafts, as well as a cookie decorating station for creating personalised festive treats. 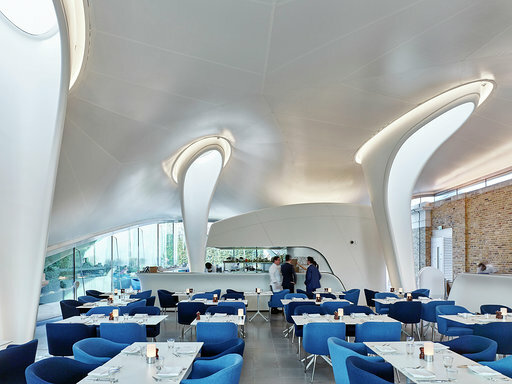 Tickets for the Easter Brunch at Chucs Serpentine cost £25 for adults and £25 for children (aged 4 – 14). Children under 3 go free. Adult ticket price includes a two course brunch. Children’s ticket price includes bottomless juices, two course brunch, as well as all Sharky & George entertainment. The Easter Garden at Chucs Westbourne Grove: For even more Easter fun, Chucs Westbourne Grove, a Notting Hill neighbourhood stalwart, will be transforming its stunning terrace into an Easter garden during the month of April. On Saturday 20th, there will also be a visit from real-life chicks, ducklings & rabbits for the younger diners to pet, as well as a chocolate egg decorating station. Taking Any Given Bank Holiday Sundaycelebrations to a new level, party the day (and night) away on Easter Sunday (21st April) with glitter and temporary tattoo artists and of coursethe talented house musicians who play nothing but audience requests from 1pm ‘till 1am, with a DJ taking over until 4am. 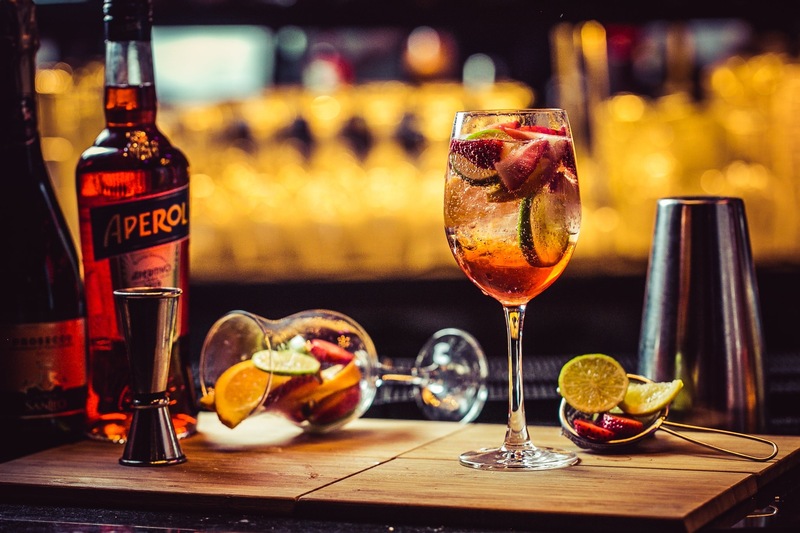 Brunch to the beat from 1pm with two hours of bottomless Aperol Spritz, Bloody Mary’s, Italian pink sparkling wine, Prosecco or mocktails withtwo-courses (£50pp) featuring brunch classics with a twist including, Eggs Florentine, Royale or Benedict or ‘Vegan’ fried chicken pancakes with maple syrup. Follow up with pancakes, waffles and more. Others wanting to keep things lighter on the food front can dig into a Brunch Box (£35pp with bottomless drinks) which offers a choice of aBreakfast Wrap (pork and leek sausages, smoked pancetta, eggs, hash brown and philly cheese), as well as wraps with beetroot cream cheese and smoked salmon, or hummus, tomato and vegan cream cheese, all served with a side of crinkle-cut fries. Dinner sittings are also available from 7:30pm with a two-course meal for £32pp with a glass of Italian pink sparkling wine. Dance from dusk ‘til dawn with non-stop live music this Easter Sunday. Book your table online now. 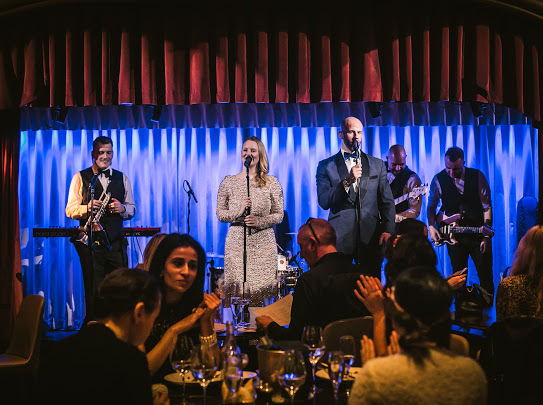 Easter weekend celebrations in London are like no other and Quaglino’s have the perfect line-up, from Brunch parties with free flowing Prosecco and DJs to the annual Easter Sunday Lunch accompanied by a Gospel Choir! What better way to kick off the Easter weekend than with bottomless brunch and DJ Dom Booth & Stefano on the sax, keeping the Good Friday vibes going, all day! Join us between 11:30am-2:30pm and enjoy our Good Friday Brunch Menu with unlimited bubbles! Taking it back to the 1920s this Easter, join us at Quaglino’s on Saturday 20th April and immerse yourself in a roaring 20s glamorous GATSBY BRUNCH with live music from Speakeasy, 11:30am-2:30pm. Easter wouldn’t be Easter without a smashing Sunday Lunch. With a special performance from the Bryan Chambers Choir, this Sunday Lunch menu comes with your choice of bottomless bubbles OR bottomless wine. Remember… you are off on Monday! On Sunday 28th April for one night only, back by popular demand, Chris Royal takes the stage to honour the legend that is Prince! Enjoy all of your favourite classics including; Kiss, Purple Rain, Let’s go crazy and many more hits that will get you up on your feet! Italian restaurant Fucina announces Spring collaboration with artist Luke Edward Hall. Fucina, the modern Italian restaurant in the heart of Mayfair is delighted to announce the launch of its Spring Campaign. 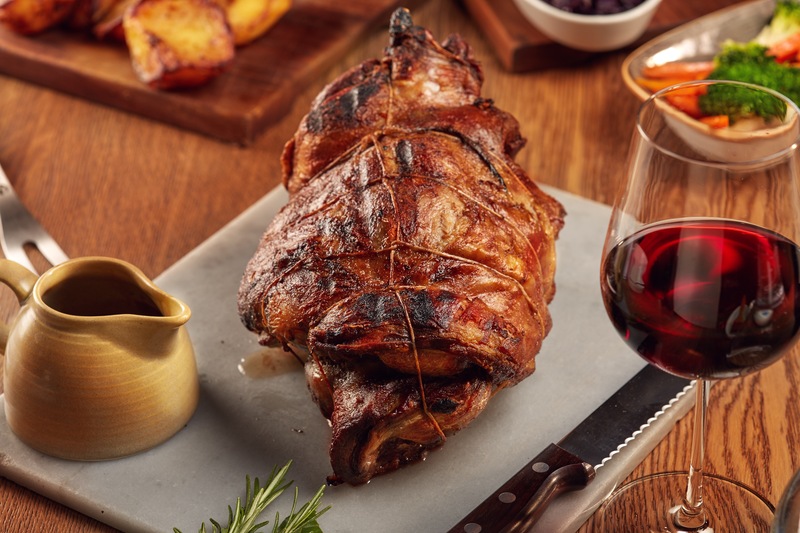 From Tuesday, 16th April 2019 the restaurant will launch its Easter menu with an array of Seasonal dishes such as succulent welsh lamb shoulder to be enjoyed alongside a Spring themed cocktail. The ‘Bunny Mary’ cocktail, a play on the traditional Bloody Mary, features Russian Standard Vodka, fresh carrot juice, olives and celery. As well as this, Luke Edward Hall, a London based artist and designer has been commissioned to design an Easter Egg showcasing his acclaimed work. Fucina will unveil Luke’s painted installation on Tuesday, 16th April and his painted design will display his renowned figurative style; florals blended with his favourite signature motifs whilst nodding to the joy of Spring and subtly referencing Fucina’s Italian heritage. This weekend, Brasserie of Light will be celebrating ‘A Very Golden’ Easter Sunday Lunch (21 April) with a series of glamorous performances and delicious menu items to add a touch of sparkle to the weekend. Guests will enjoy live music and mesmerising performances from futuristic dancers in beautifully embellished golden costumes from 12pm-3pm on Easter Sunday, whilst dining from the exquisite A La Carte menu andsipping indulgent golden cocktails and sweet treats. Guests can choose from an eclectic mix of classic British and internationally-inspired dishes, including the decadent Wagyu Steak with a black truffle sauce (£50.00) and popular Spaghettini with Lobster, blistered datterini tomatoes, chilli and garlic (£29.75). Alongside golden Easter treats such as the luxurious Chocolate Bubbles dessert (£8.50) – Valrhona Guanaja dark chocolate, dark chocolate mousse, chocolate brownie, vanilla ice cream and chocolate pearls or the Golden Apple Tart (£8.95) – a sweet delight featuring candied pecans, cinnamon streusel, salted caramel ice cream and a toffee sauce. Every table will be gifted a beautiful golden Easter egg at the end of their meal in honour of the Easter celebration. Diners visiting the Duke Street based restaurant from Friday, 19 April – Sunday, 21 April, will also be able to enjoy two limited-edition golden cocktails; the elegant Japanese, Kansei Gold cocktail (£10.50) made with Chita Japanese Whisky, Bottle Green Ginger & Lemongrass Cordial, Lemon juice and Egg White and The Golden Plum (£9.75) featuring Wyborowa Vodka, Pineapple Juice, Umeshu Plum Sake, Choco Bitters topped with Prosecco and served in a striking golden glass. Brasserie of Light is a brand-new destination restaurant and bar, offering all-day dining in a chic, Art-Deco space that’s accessed directly from Duke Street, and from the first floor of Selfridges. 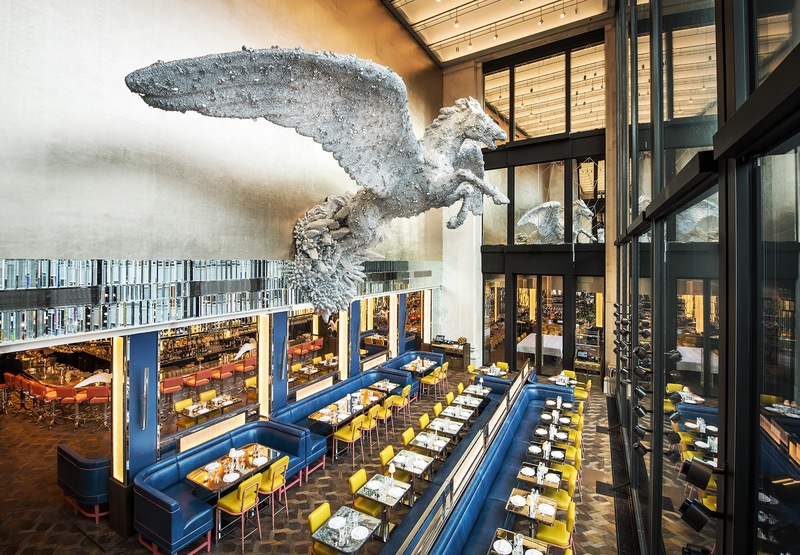 Contemporary, artistic and elegant, the centrepiece to the restaurant is Damien Hirst’s 24ft crystal encrusted Pegasus. Please note that Selfridges is closed on Easter Sunday. Brasserie of Light is open all day and night and can be accessed via Duke Street. To make a reservation, please visit www.brasserie-of-light.co.uk or call 0203 940 9600.